This post has already been read 5916 times! KEARNEY – Ron Tuttle had his sights set on sunny California. It was the “Beach Boys era,” as he called it, and the West Coast was the place to be for 20-somethings. At least that’s what Tuttle thought before he arrived in Kearney in 1974. 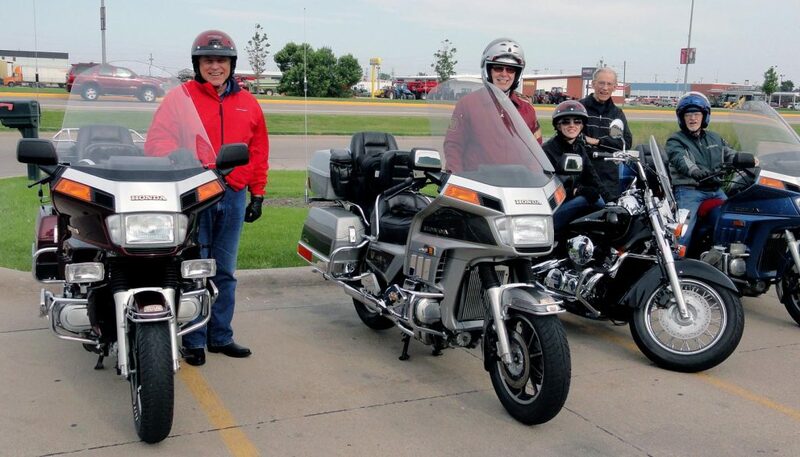 The industrial technology professor with a passion for motorcycles and rebuilding cars planned to stay at the University of Nebraska at Kearney for three years before heading west to the Golden State. More than four decades later, he’s retiring from UNK after a “great career” that included 14 years as a department chair and countless hours in the classroom. “I kind of liked this place. The people were honest and straightforward. It felt like home,” said Tuttle, who met his wife Barbara in 1977 and settled in Kearney for the long haul. The Kirksville, Missouri, native has been a mainstay in the Otto C. Olsen building. He was instrumental in the development of the original telecommunications management degree at UNK in the 1980s and worked with professor Tim Obermier to introduce the Cisco certified network associate program about a decade later. 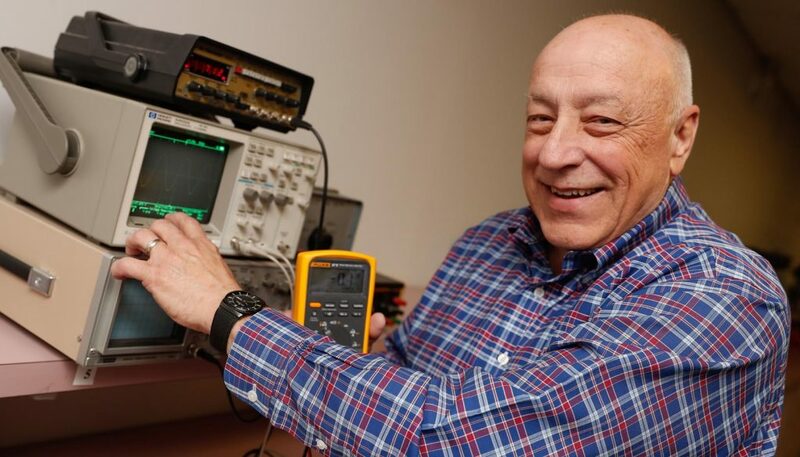 Tuttle, who has taught electricity and electronics throughout his tenure here, said the challenge of staying up-to-date in the industrial technology and information networking and telecommunications fields didn’t leave time for many dull moments. Tuttle earned his bachelor’s and master’s degrees from Northeast Missouri State University, now Truman State University, and a doctorate from the University of Northern Colorado before taking a job at UNK. Within four years he was chair of the department he spent his entire UNK career with. “That was a real shift,” said Tuttle, who held the time-consuming position from 1978 until 1992, when his daughter Kenzie was born. Tuttle did interview for a few jobs in California early on, but nothing could lure him away from UNK. “I guess this seemed too good,” he said. Kearney was a good location for him – about halfway between his family in Missouri and his wife’s family in Chadron – and he wanted the opportunity to help develop an academic program. The tightknit campus and close relationships with students and co-workers were an added bonus. “That really is something that was attractive,” said Tuttle, whose department quickly became a second family as they celebrated births, weddings and other milestones together. He shared the same experiences with students as they graduated, found jobs and moved on in life. The emails, phone calls and visits from former Lopers he influenced – including two generations of some families – will be a lasting memory. “That’s really neat,” Tuttle said. 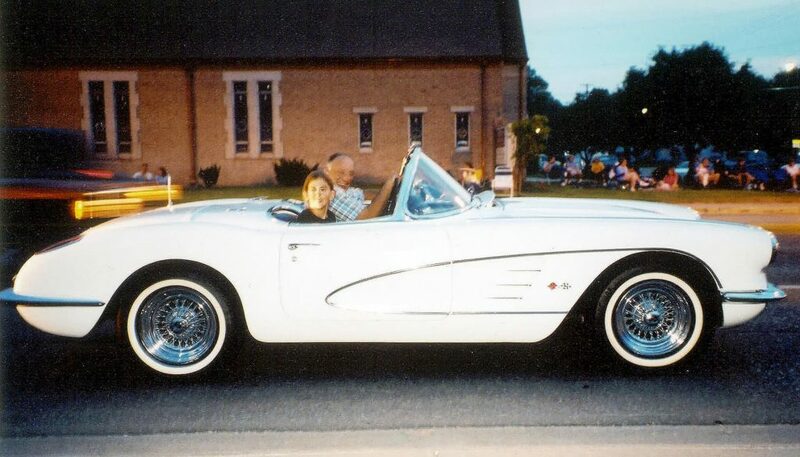 The 71-year-old and his wife Barbara, a kindergarten teacher at Windy Hills Elementary School in Kearney, are both retiring at the end of the academic year, giving them more time to visit family, travel the world and get his 1959 Corvette convertible back on the road. “It will be kind of nice not to have a schedule,” Tuttle said with a smile. Good luck in retirement Ron! You were an inspiration and a great mentor! Congratulations Ron from a former UNK colleague, a friend, and motorcycle and flying buddy. Sincere best wishes to you and Barb in retirement! Good Luck in your retirement Ron!!!! Enjoy retirement. Thank you for your contributions to UNK and all the young minds you guided. I am especially grateful for your mentoring of teachers, one in particular. Thanks for sharing in our lives both personally and professionally. Hello Ron. I ran across this article while doing some “Googling”. Thank you for providing me my first opportunity to teach at the collegiate level. You still have that great smile that set me at ease. After driving to Kearney, you and Barb allowed me to stay in your home while looking for a place to live. And I discovered that one of my students, Tim Obermier, found his calling and stepped into your shoes at UNK — Tim and I exchanged emails in 2010 or so. Enjoy yourself in retirement. Say hello to Barb. I dropped you a line some time ago at your Windy Hills site but haven’t heard back, so I thought I would try here.